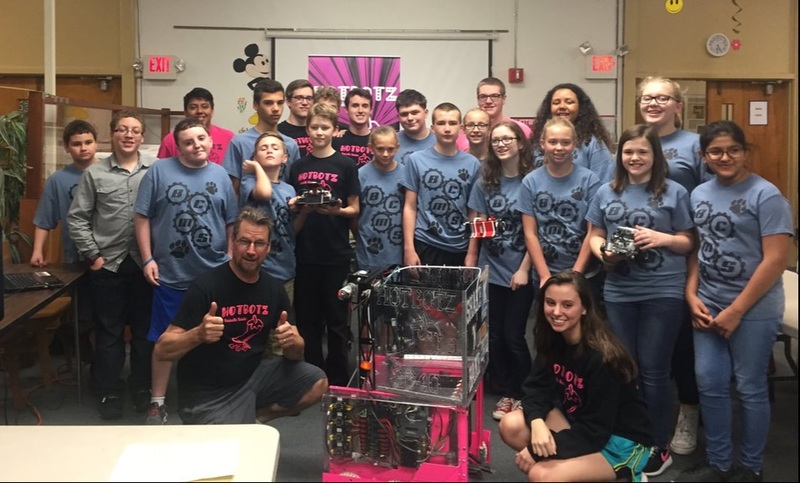 The Hotbotz 2640 is a FIRST Robotics Competition team based out of Rockingham County, North Carolina. Our student lead team is made up of highschoolers from not only Rockingham County but also Guilford County. Since 2008, our team has worked its hardest to provide students and others in our community with lessons that go above and beyond FRC and the classroom. ​webpage and learn all about the organization! With six weeks to build a robot, our team has to not only work together but also be innovative! A brainstorming session is a large part of our process as a team before every season. One of our most recent awards was actually the Innovation Award in 2017! Another large part of our team focus is working to inspire younger students. Through presenting to elementary and middle schools and also working at local robotics camps, our team is fortunate enough to help expose younger generations to STEM values. Although competition can get tough, we never let it get the best of us. It’s important that we can positively effect the teams that we work with. Whether it be helping a team in need or just having laughs, we strive to positively impact the FIRST community.